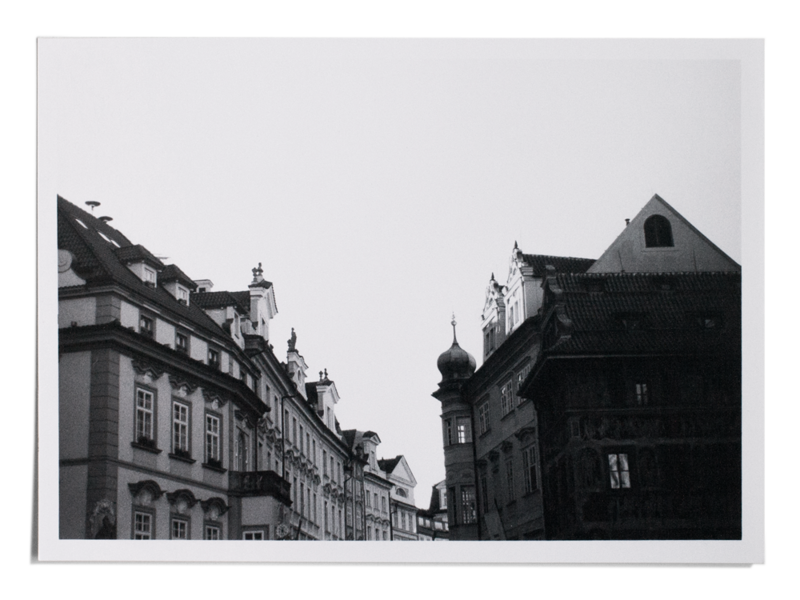 This past holiday season I came back from a trip to Eastern Europe with a full roll of black and white film. With that I had finally convinced my dad to show me how to develop and print film like he did in the basement at our old house, in the bathroom he had converted into a dark room. This time he set up the makeshift darkroom in a walk-in closet at my parents’ house, complete with a custom-built shelf, dark room lighting and a little heater to make sure the chemicals stay at the right temperature. The results? I learned the "dodging" and "burning" skills that came long before it was something I learned in my intro to Photoshop class, as well as how to lighten and darken, f-stop, paper quality, and more. It’s neat to step away from the computer and be part of the process. Here's a few of the printed photos!